It feels like we've been waiting for a century, but the day has finally come. 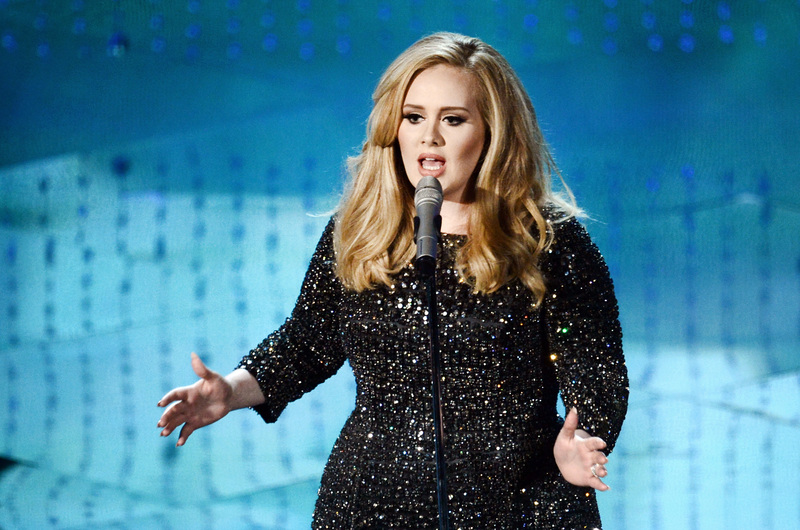 On Friday, Adele released 25, her first album in four years. While fans might be a bit miffed that the album didn't make its way onto any streaming services, it was well worth the $10.99 that iTunes was basically giving it away for. While you sit back with your headphones on and your heart ready to absorb Adele's joy and heartbreak ( and relate it back to your own life), you might have gotten all the way to the final song, "Sweetest Devotion," without releasing something. And that something is that one lyric on Adele's 25 sums up the album so perfectly that there's not a single song the lyric can't be applied to. It puts into words a truth that people acknowledge, a truth that they live by and experience, all without knowing how to describe it. That lyric comes from "The Remedy," and it's simple but powerful. "Every story has its scars," Adele sings at the end of the first verse, after the lines, "I remember all of the things that I thought I wanted to be, so desperate to find a way out of my world and finally breathe. Right before my eyes I saw my heart, it came to life. This ain't easy. It's not meant to be." The rest of those lines add context to the observation that every story has its scars, but it's a context that's unnecessary. Whether you begin with "Hello," the first song on the album and the first single, or skip around to songs like "Sweetest Devotion," "River Lea," "Million Years Ago," or "I Miss You," the lesson is still the same. Every story has its scars. Every story that Adele is telling on this album, with every song, with every line, is a story that has left a scar on her heart. Of course, not all of these stories are sad. "Sweetest Devotion" and "I Miss You" are both traditional love songs that are perfect to describe her current relationship with Simon Konecki — or, you know, to be applied to any relationship that we are currently in or aspire to be in. They're both happy stories. However, that doesn't mean that they haven't left their scars. Even the happiest tale is rife with the occasional fight, disagreement, argument, or period of hurt feelings. A healthy relationship is made even healthier by overcoming conflict, and I don't doubt for one second that Adele's heart has gained new scars in the last four years that she's been with Konecki, though they may be small compared to the gaping wounds she has suffered from the hands of other lovers before. And that's true of life in general. Whether we're happy, sad, angry, or content with our place in life, our stories have their scars. We are who we are not just because of our successes, but because of our failures. Our stories may have a happy ending, but the journey to get there is rough. We suffer. We lose. But we keep fighting, because it's a fact of life that every story has a chapter in which things seem desperate, in which we're hurting so much that we feel like we can't go on, in which we're left, bewildered, on a cliffhanger, never knowing where our lives will take us next. But, if we can just turn the page, we'll go from "Send My Love (To Your New Lover)" to "I Miss You." We'll go from "All I Ask" to "Sweetest Devotion." We'll fight. We'll survive. We'll win. That's what Adele's 25 is about at the end of the day. Those fights. That survival. This victory. Every story has its scars, and, just like Adele, our stories aren't over.